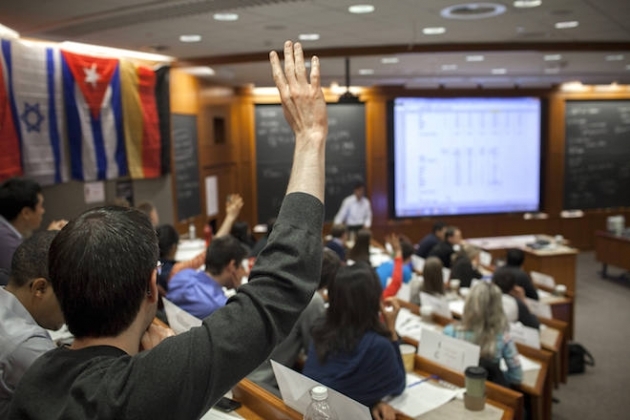 Most people associate Harvard with management and Wharton with finance. 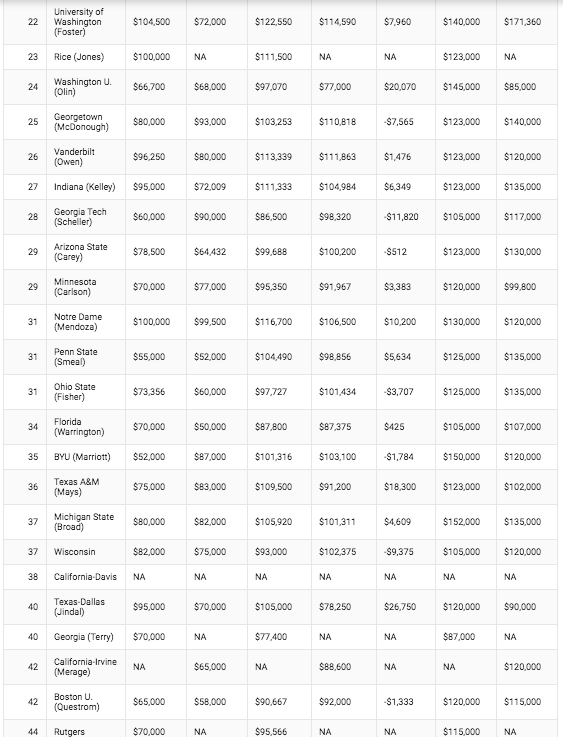 That’s why some will look twice when the programs rank 1-2 in terms of operations base pay with the Class of 2017. 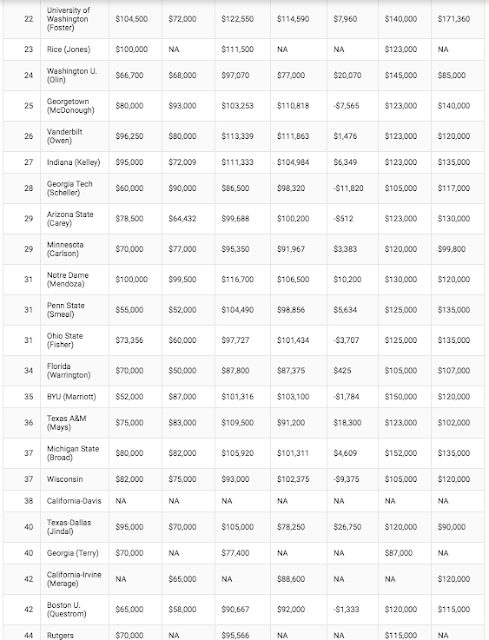 Harvard’s $135K starting pay may top Wharton’s $129K answer, but here is the kicker: Both programs have seen pay for their operations students climb by nearly $18K over the past two years. Impressed? 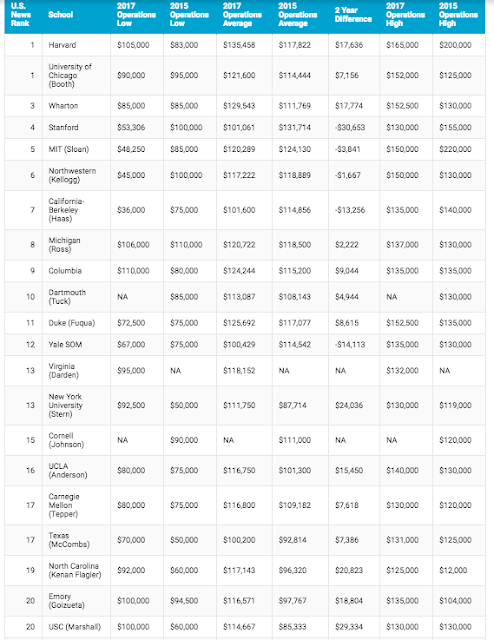 Don’t be: Seven programs enjoyed better operations base pay growth than Harvard and Wharton – headed by USC Marshall (+$29,344), Texas-Dallas Jindal (+$26,750), NYU Stern (+$24.036), and North Carolina Kenan-Flagler (+$20,823). 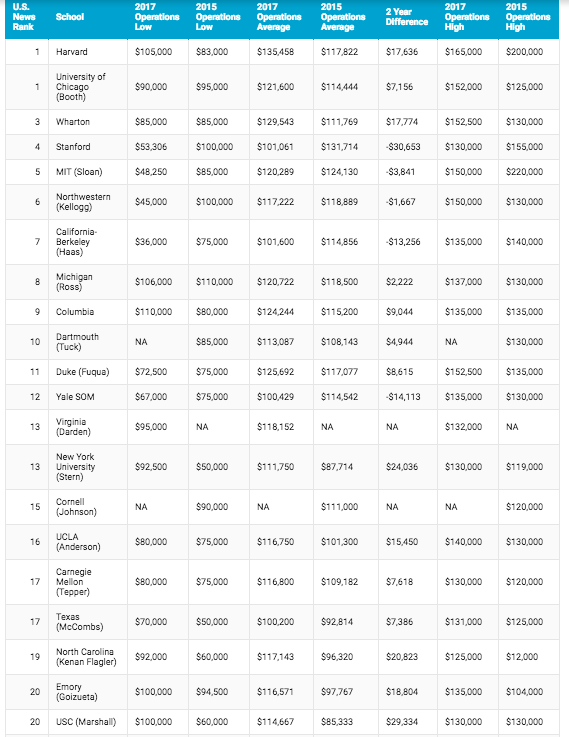 Arguably the best operations MBA program in the world – MIT Sloan – actually lost ground in base pay, with pay dropping $3,841 since 2015 (though a Sloanie snagged the highest starting paycheck in the field at $220K).